Hair is considered as valuable asset for person so it is obvious to get disturbed after any damage or loss of this asset. People try various options to restore their crown glory after experiencing baldness from the available surgical and non surgical methods. 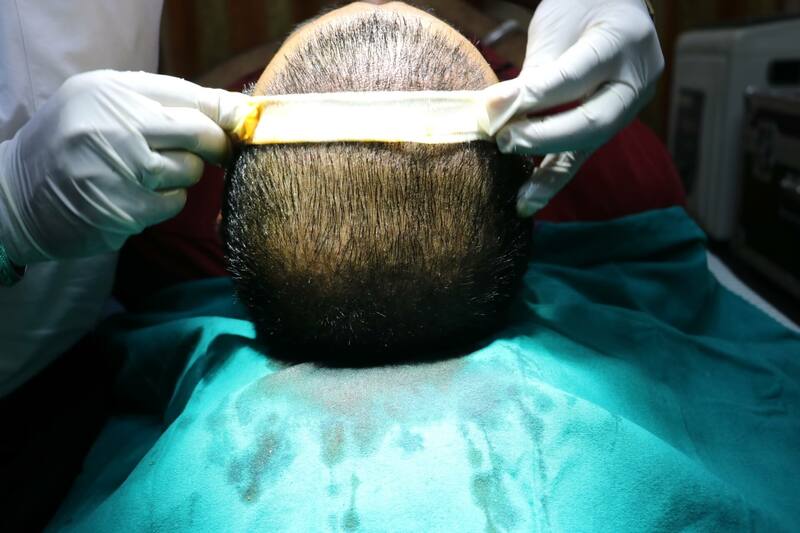 People undergo PRP therapy for their hair restoration in great extent as it is safe and effective non surgical treatment option. 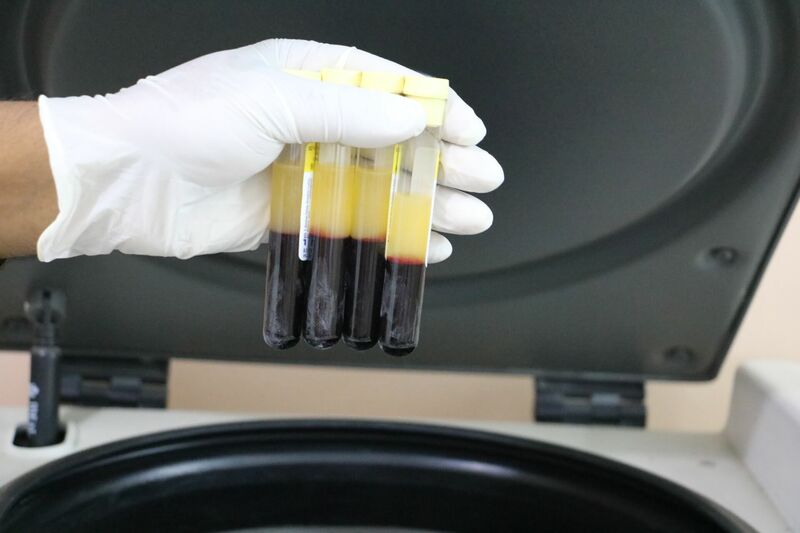 What are platelet rich plasma or PRP cells? Human blood contains the small solid components like red cells, white cells and platelets and each component has its own functioning and importance. Platelets are important for the healing of injuries and blood clotting and even these platelets contain hundreds of proteins called growth factors. PRP cells have 5-10 times more concentration of growth factors that the normal blood so has greater ability of healing so can be used for various medical ailments including the hair loss treatment. These growth factor enriched plasmas stimulate the hair growth and nourish the hair follicles by even activating the dead hair follicles. 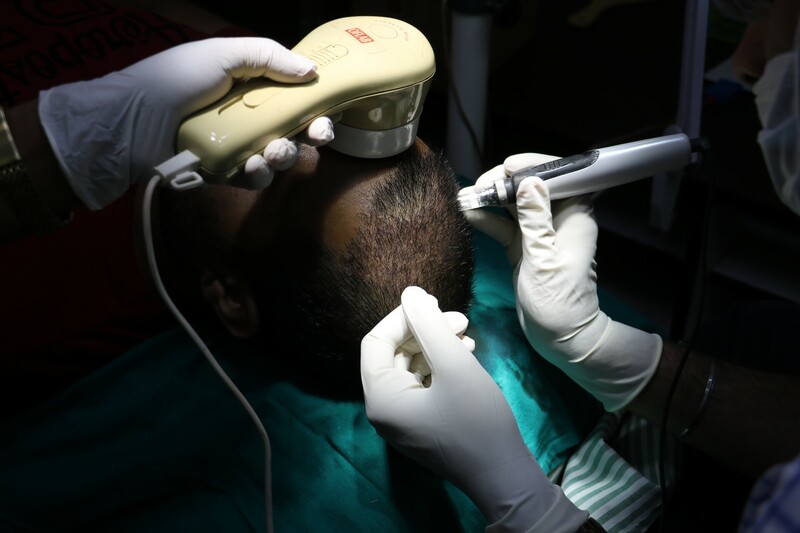 So these plasmas are used to inject in the scalp of patient to treat hair loss problem. Dr. Mohan Singh who is the expert and specialist surgeon at NHTC in Jalandhar, Punjab, performing PRP therapy with outstanding results. 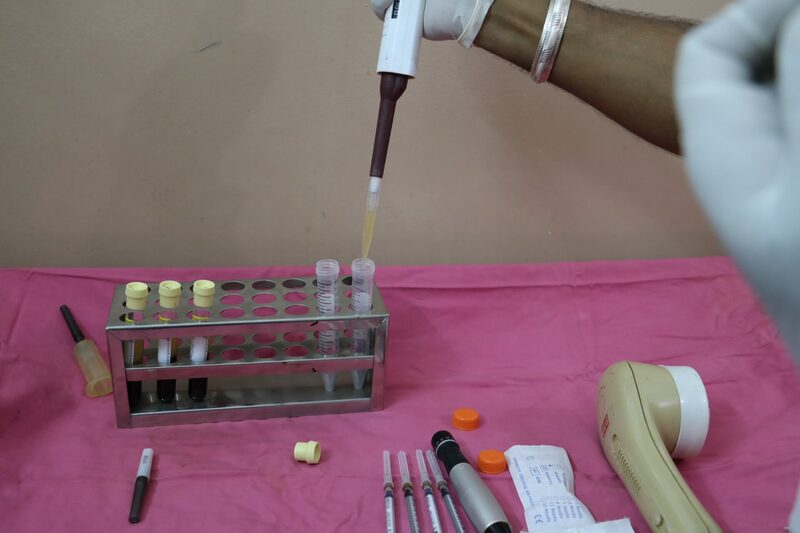 For this procedure initially the patient’s blood is drawn in small amount and then tested at center itself to know about any blood infection or disease. 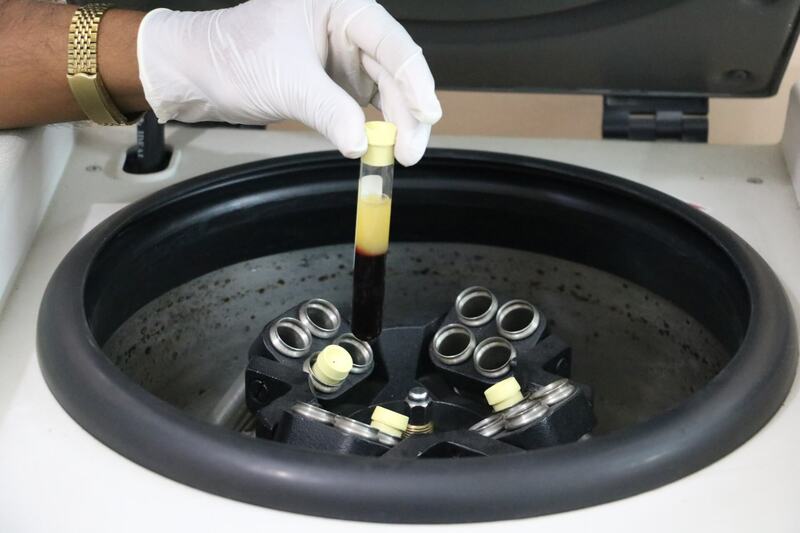 Patient’s drawn blood is the centrifuged under the controlled and optimized conditions of temperature, speed and time to separate the PRP cells from blood. 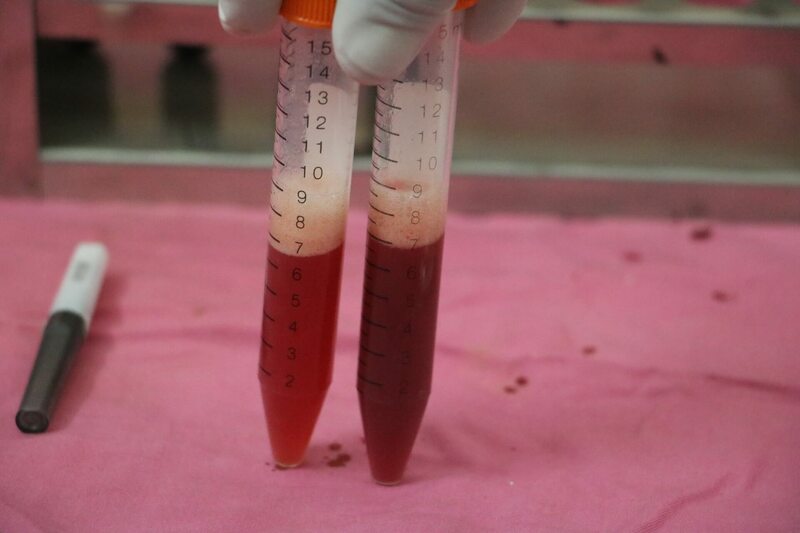 Then PRP cells are removed from the rest of blood and have been made sure that these cells have 5-6 time more concentration of growth factors than the rest of blood. After obtaining highly concentrated blood cells, patient is given local anesthesia for painless process. 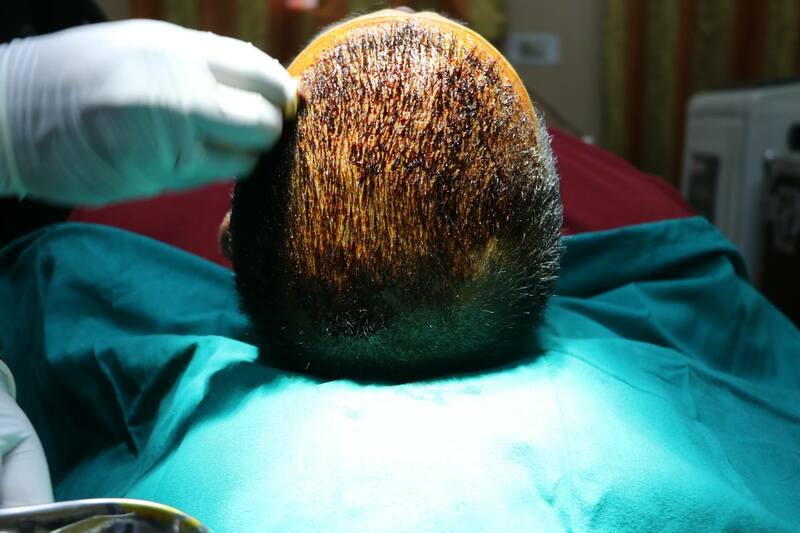 Then platelet rich plasmas are injected in the scalp of patient with specialized tools. 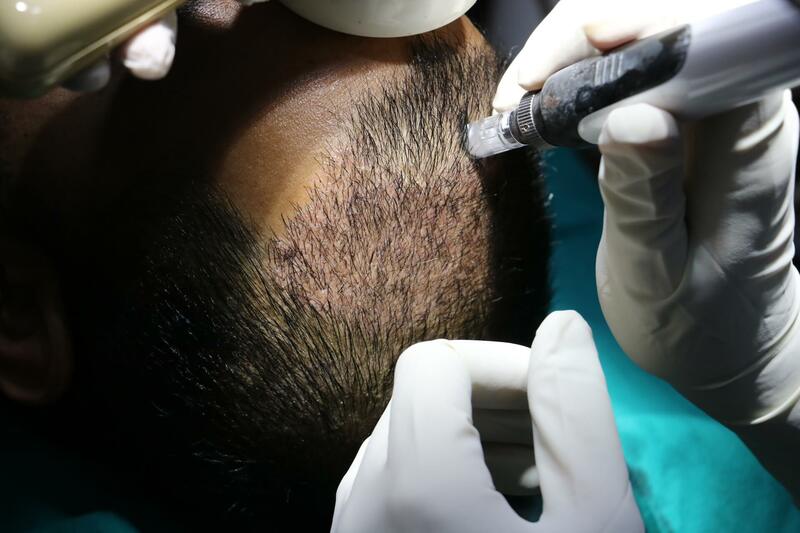 After the completion of process patient’s hair s are washed at the center to give hygienic and preventive wash.
PRP stands for the Platelet Rich Plasma. PRP is the cosmetic hair loss treatment. it is used to stimulate and promote hair follicle health to reverse the effects of the hair loss. Plasma contains five times number of the platelets that are commonly found in the blood. The platelets also contain the growth proteins which are vital for the cell generation. With this, it is possible to revive the damage or inactive hair follicles and enjoy the full head of the hairs. PRP is the revolutionary new treatment for the hair loss. 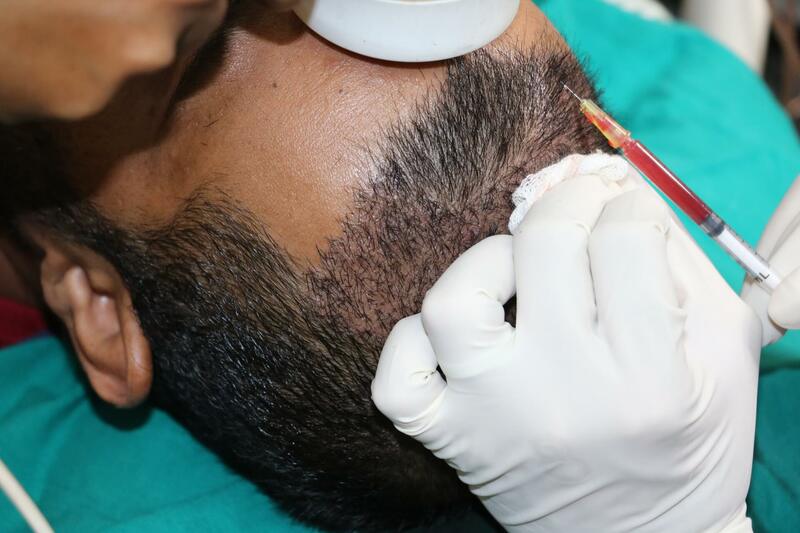 This treatment is very versatile treatment and it can be used for the hair transplant surgery. It can also be used as the independent treatment for thinning of the hairs. 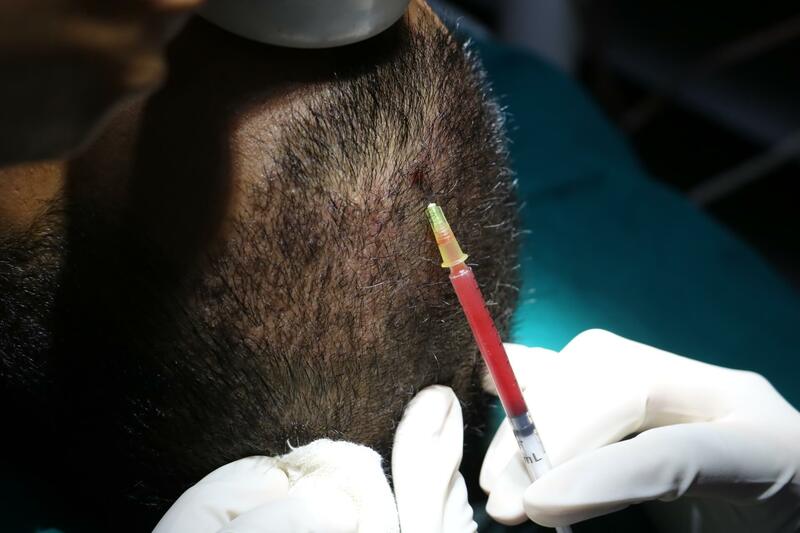 PRP is the advanced nonsurgical treatment and usually believe that awesome results when it is applied to the scalp. Most of the people prefer PRP because it doesn’t have the side effects. PRP is beneficial for those who have to thin of the hair and have weakened roots. In some cases, there may be need of the one or more sessions but results are permanent. It is the natural therapy because it uses your own blood for the regrowth of the hair. This is not the surgical treatment. Only one high-quality plasma injection is injected on the scalp. Then it starts the re-growth. Then there is no need for the further procedure. Only one injection is sufficient for the regrowing of the hair. Sometimes one or more PRP sessions are needed. This is used in the case of full baldness. The results of the PRP treatment are long-lasting. .it uses the concept of the growth factors which are essential for the nourishment of the scalp. So, it leads to the permanent results. Results are also dependent upon your lifestyle and the good diet. The recovery time of this procedure is fast, you don’t have to stay in the hospital. This is the outpatient technique. You can perform your daily tasks very soon. This is the safe treatment. There is no any kind of the side effects. You just feel some swelling on the scalp and some swelling feel around the eyes but this happen in some cases. Ineffective results are just the outcome of the unauthorized doctor. If you choose the best and authorized doctor, he will provide you the best PRP treatment in India. You will definitely get the best results. The chances of unsuccessfulness are very low. You will get the reliable treatment from the authorized doctor only. This is less costly and cost-effective treatment. This is the nonsurgical treatment. In this treatment, the lesser amount of the equipment and devices are used. This makes this treatment an affordable treatment. This helps to promote the re-growth of the hair. It provides the permanent and long lasting treatment. your head will full of hairs after the treatment. You just have to take healthy diet and adopt the healthy lifestyle. When you get the full head with hairs. Your personality will be enhanced greatly. Now, you can do the hairstyle what you want to do. Baldness is not only the physical problem but it is also the psychology problem. When you are unsatisfied with your looks, you will feel demoralize every time. When you are having the handsome and beautiful look, it will definitely increase your morale and confidence. 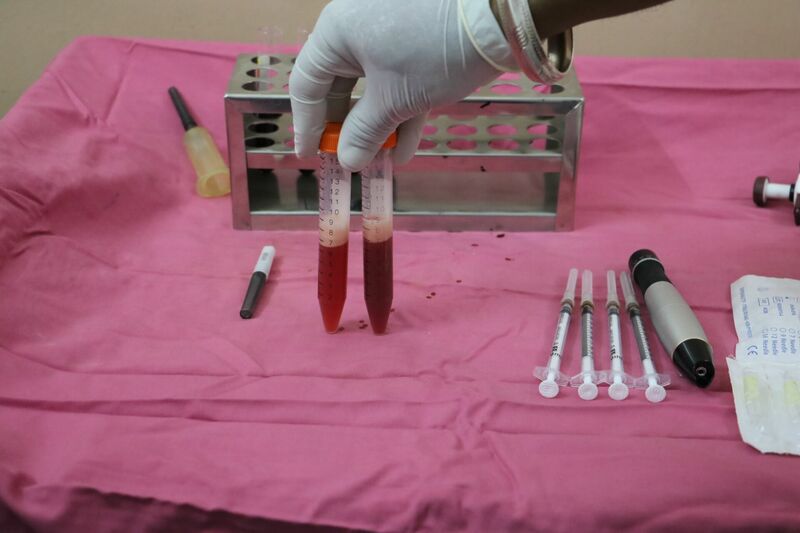 There are the numbers of the cases that are cured with the PRP treatment. Male Pattern Baldness –This is usually caused by the men. This is due to androgenic alopecia. 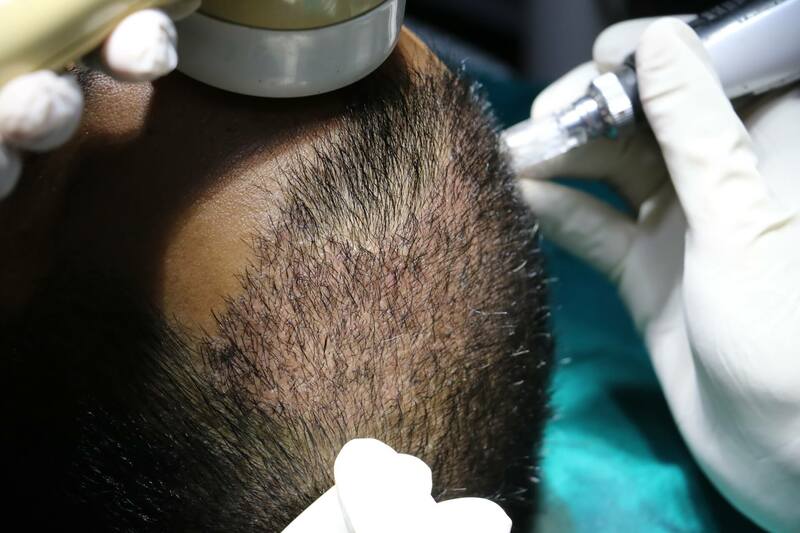 PRP is the most effective treatment of the male baldness but in early stages of the baldness. Female Pattern Baldness –It doesn’t mean that baldness is only occurring in the male but pattern baldness is also common in the female. This is occurring due to the thinning of the hair. Hypotrichosis –This is the condition which is related with the thinning of the facial hairs. PRP is also the effective tool to cure this problem also. Alopecia Areata –This is an autoimmune disease .this occurs when our body’s defense system starts attacking hair follicles. PRP treatment is also the effective treatment to cure this problem also. Metabolic Hair Loss –hair loss can occur due to the improper diet and unhealthy life style. This will weaken our immune system which ultimately to the hair loss problem. 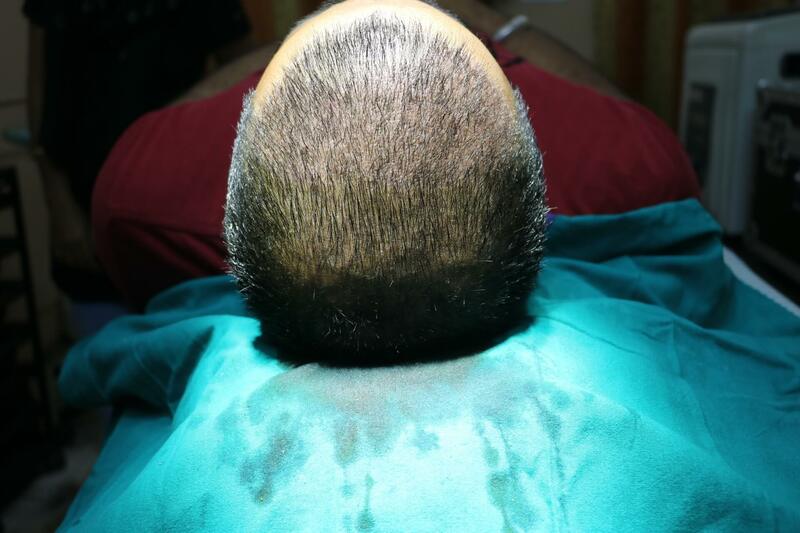 This type of the hair loss is also cured with PRP treatment. There are the some of the Pre-procedure instructions that need to be followed before the actual procedure will be going on. You have to follow the pre-instructions for at least 2 weeks before the treatment. It is essential to increase the intake of the fluid. You drink 2 glasses of water in the morning before your PRP sessions, 2 glasses of the water at the lunch and 2 glasses at the dinner. On the actual day of the procedure, you simply require the bottle of the water. Please eat the simple breakfast or lunch before the PRP sessions. Shampooing: You can shampoo your hair at least one day before the PRP sessions. Hair coloring: If you want to color your hair, it is fine to do coloring 3 days before the session. Supplements: You have to discontinue the blood thinning agents such as vitamin E, vitamin A, Garlic etc. you have to stop consumption a week before the treatment. You also have to stop the multivitamins before the actual procedure. It is fine if you continue to consume iron and vitamin D.
Alcohol and smoking: You have to leave the alcohol three days before the PRP sessions and you need to quit the smoking three days before the procedure. The more you follow the pre-instructions, there will be more chances of the healing process. Medications: You have to avoid consuming the aspirin, Advil, Ibuprofen etc at least three days before the actual session. 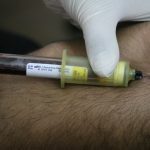 WHAT HAPPENED IN THE ACTUAL SESSION OF PRP TREATMENT? Collection of blood: Most of the physician takes 35 ml of the blood. Nowadays, blood is collected with maximum aseptic precautions. Aseptic precautions help to save you from ant kind of bacterial and allergic reactions. Then platelets are separated from the blood cells and the platelets may be divided. One part is used to release the growth factors. This is then combined with the other whole platelet factors. 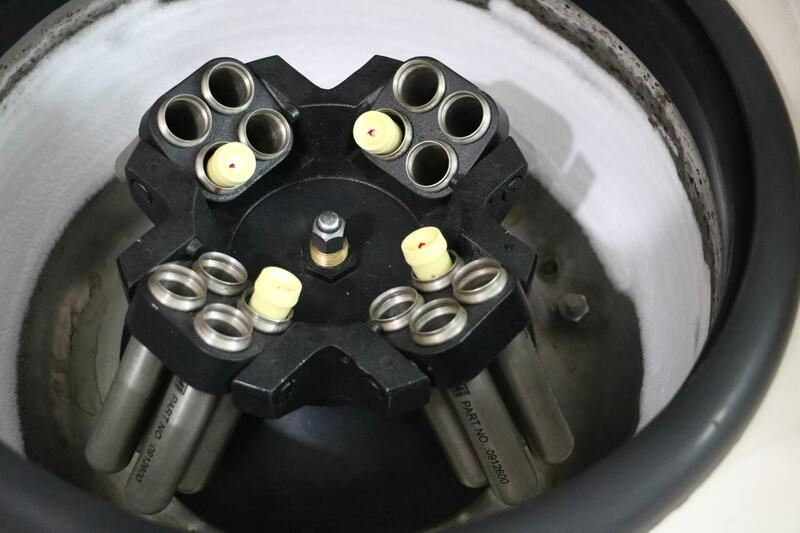 This is called as centrifugation. After that, increased concentration of the platelets is combined with the remaining blood. 35 ml of the peripheral venous blood is withdrawn in the 9ml tube that contains 3.8% of the sodium citrate. 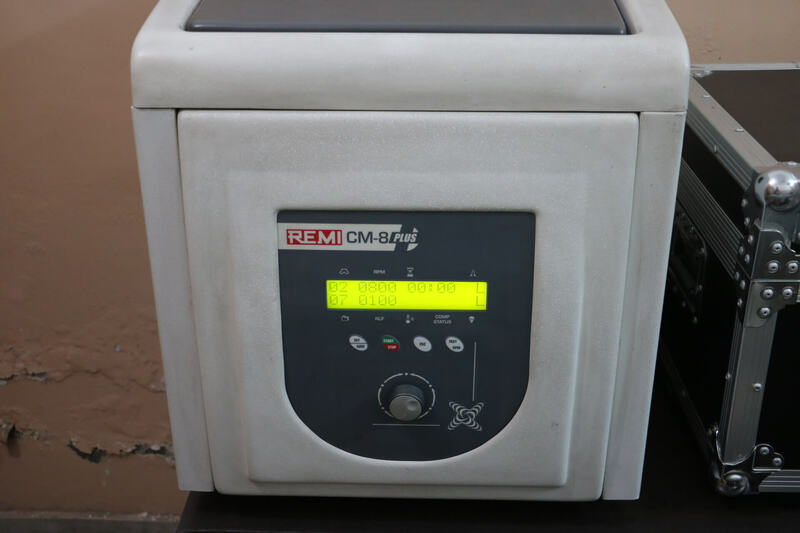 PRP was generally prepared by the centrifugations at 580 g. Most of the physician uses the Refrigerated CM-*8 plus centrifuge for the maximum concentration of the PRP. It requires 8 minutes at the room temperature. The 2 c.c.plasma fraction is placed just above the sedimented RBC. The sterile tube is used to collect the Buffy coat. This is done under the vertical air flow conditions. After that 10% of the calcium chloride is added to the final concentration of 22.8 mm before the IA injection. 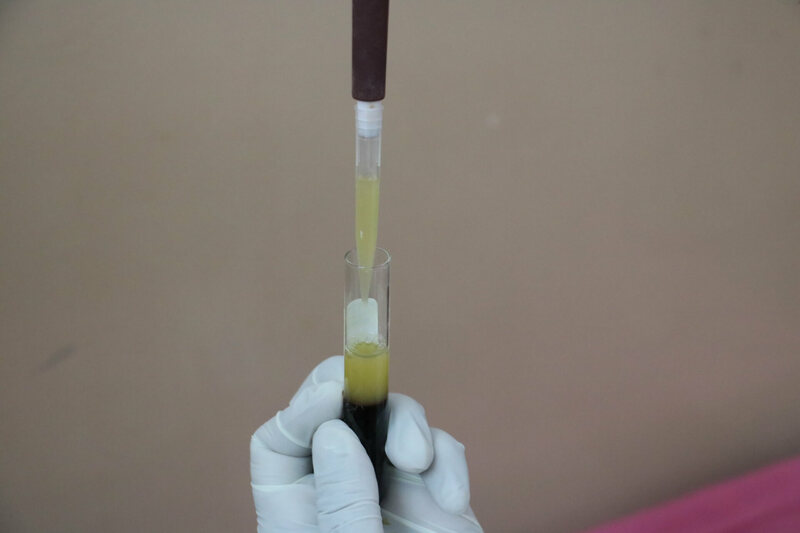 5 ml of high-quality PRP is prepared. 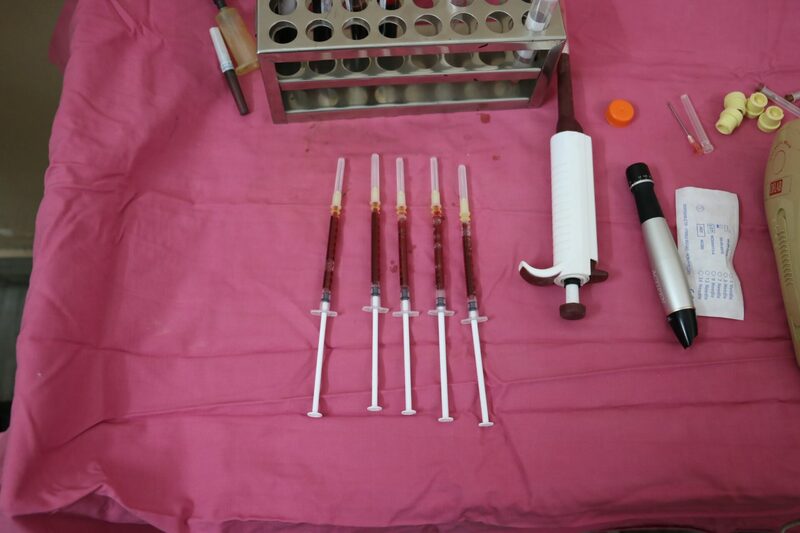 PRP injection is prepared in the two spin cycles. After the first spin cycle, it is transferred to the sterile tube. 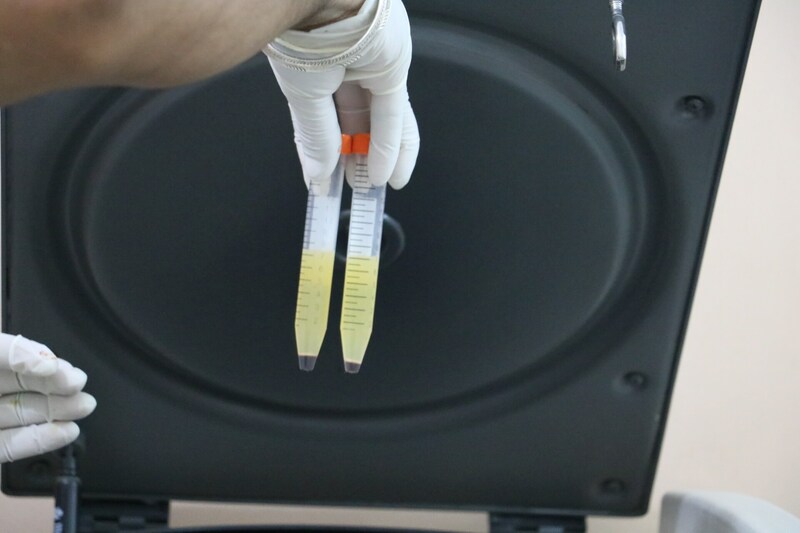 And start the second spin cycle in the centrifugation in order to get the maximum concentration of the platelets. Give the Anesthesia: In the ancient time, local anesthesia method is used. This creates so many side effects like infection, bacterial growth etc. But now a day, new technology has changed the whole procedure. 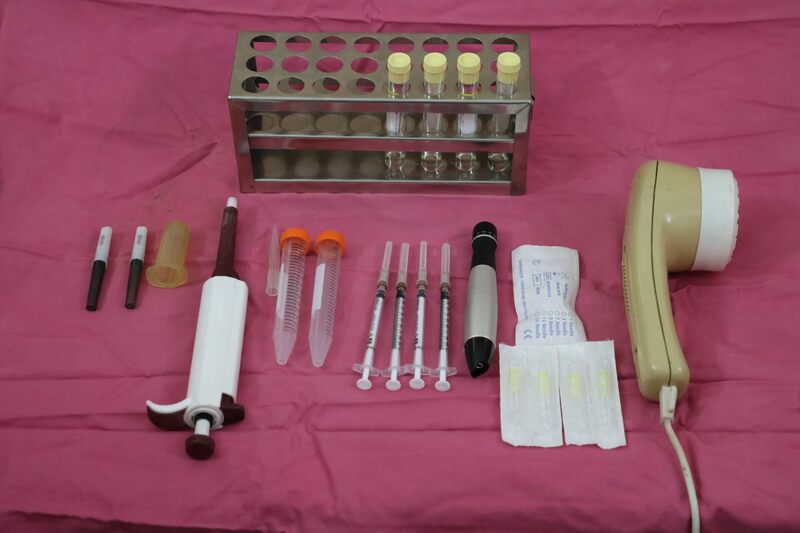 For the anesthesia, aseptic equipment is used. With this equipment, there are fewer chances of the infection. 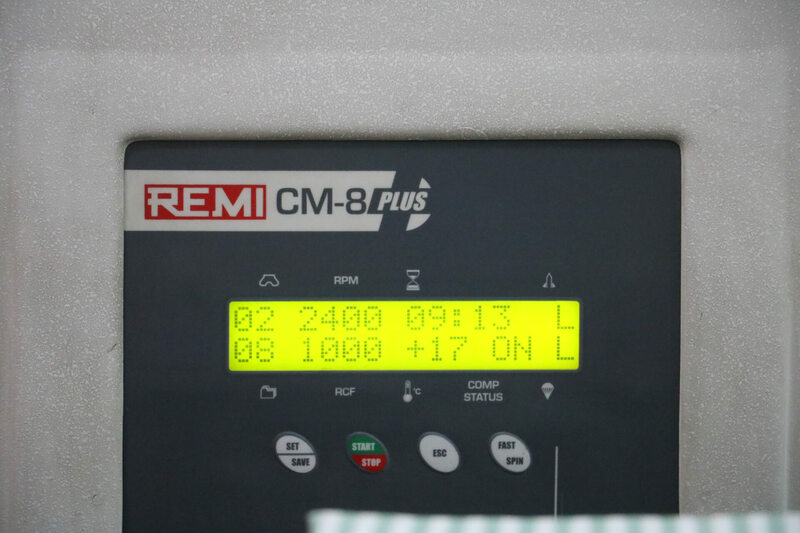 In this equipment, vibration anesthesia is used in order to reduce the pain and provide full comfort to the patient. Scalp Stimulation: in the step, the scalp is stimulated to heal the wound. 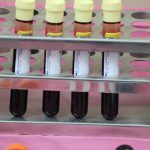 This process is required to be activated in order to use the growth factors and platelets that the PRP therapy provides in the collection of the blood and centrifugation of the blood. 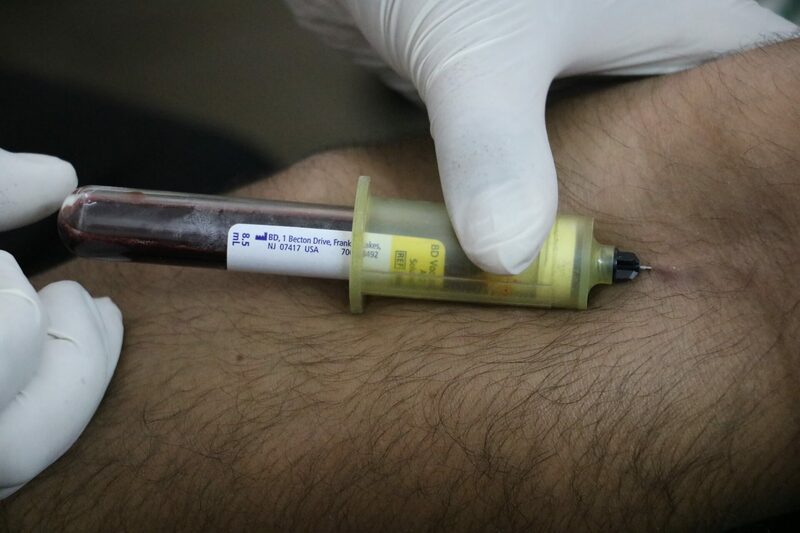 In the previous time, one needle is used to activate the PRP. Now 100% of the punctures are used for the activation of the PRP. Now –days, the single needle is the impractical method and cause a lot of the pain to the patient. Nowadays, most of the physician uses the scalp roller. Scalp roller is manufactured by the Nanogen. And it is vital for the activation process. Scalp roller is the micro needle roller that uses the 192 titanium needles. This is used to open the skin with the same depth. It implies less pressure and causes the less pain. Scalp roller is the good device and it saves both patient and the surgeon time. 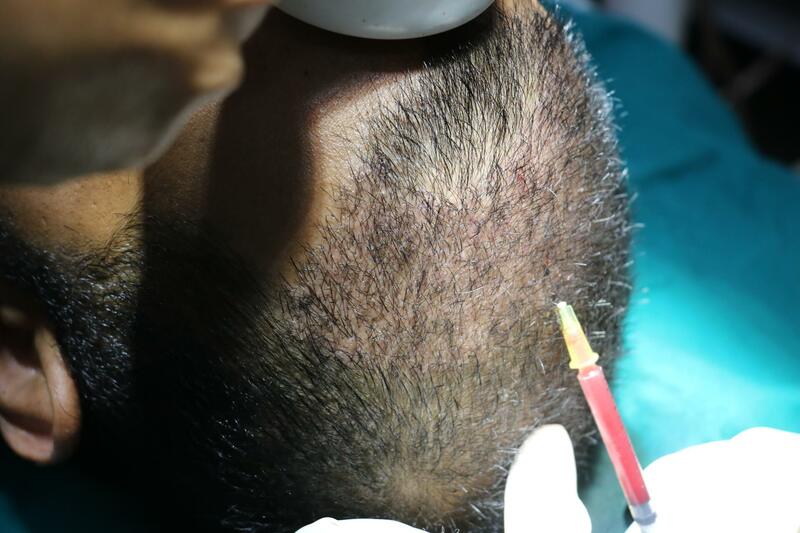 Re-Injection : The third step includes the re-injection of the platelet and the growth factor parts into the scalp. This includes the high factor of every component and it is vital for the healing and the growth of the hair. The simulation and the high concentration of the hair follicles help to generate new hairs. It also helps to thicken the hair. You are congratulating for the completion of the PRP procedure. It is not necessary to change your plans. You can do whatever you want to do. There are some precautions that need to be used in order to get the full hair head. There may be chances that you can get the mild swelling. Shampooing: You can shampoo your hair next morning. Don’t do the shampooing on the same day. Hair coloring: If you want to color your hair; you can color after three days of the procedure. Wear the hat: You were the hat, it is good. it protects your scalp from the unnecessary dust. it also protects your scalp from the sun. Supplements: don’t use the blood thinning agents’ like vitamin A, Vitamin E etc. You can consume these supplements after the one week of your treatment. Food and caffeine: It is essential to avoid alcohol and cigarettes for the next three days. Medications: don’t use the aspirin, Ibuprofen etc for at least three days of the procedure. 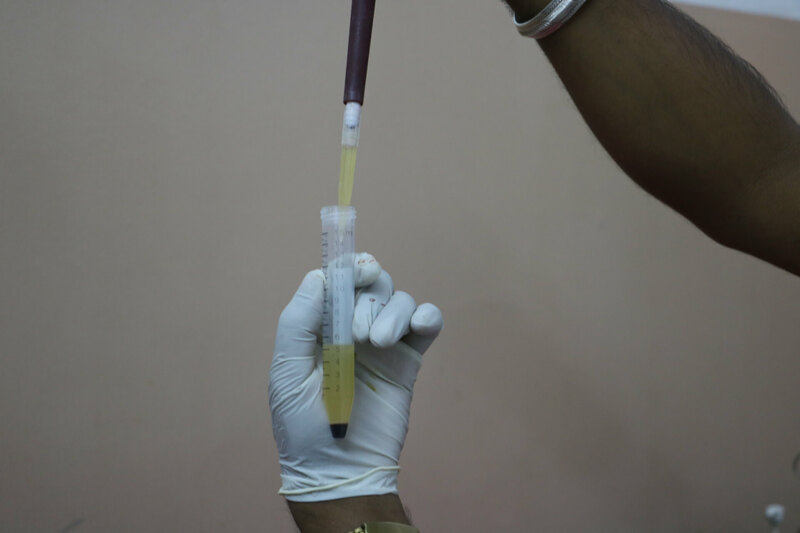 What is the Cost of the PRP TREATMENT in Punjab? 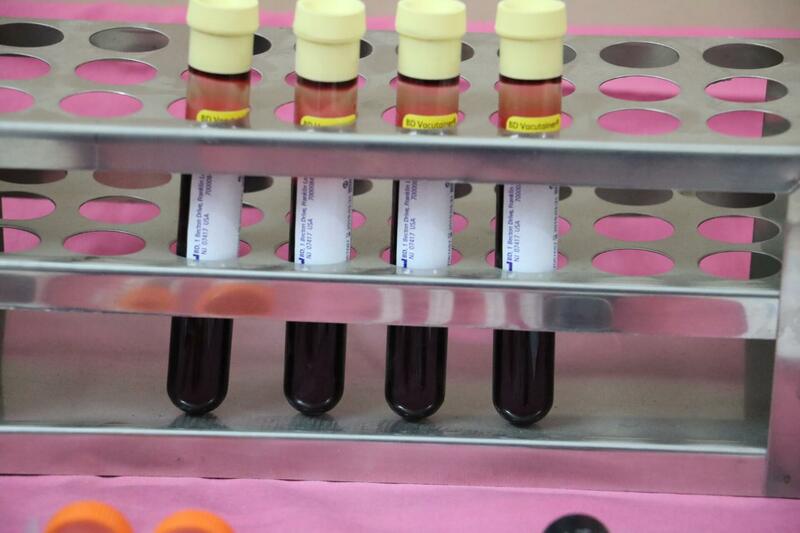 The cost of the PRP treatment ranges from the 22,763 INR-201,615 INR. But the cost is dependent upon the surgeon goodwill, geographic region and the complexity of the procedure. You can consult the best surgeon for the best PRP treatment in Jalandhar, Punjab at the very reasonable and affordable price.